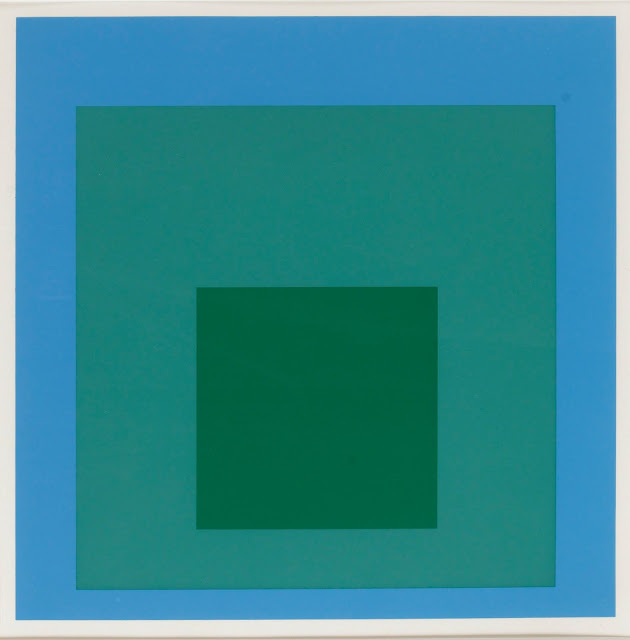 Josef Albers, born in 1888 in Bottrop Germany, studied in Berlin, Essen and Munich before enrolling as a student at the Bauhaus in Weimar in 1920. In 1923, he was placed in charge of the glass workshop at the school. Over the following decade, he continued to produce glass pictures along with numerous designs for furniture, glass and metal objects. 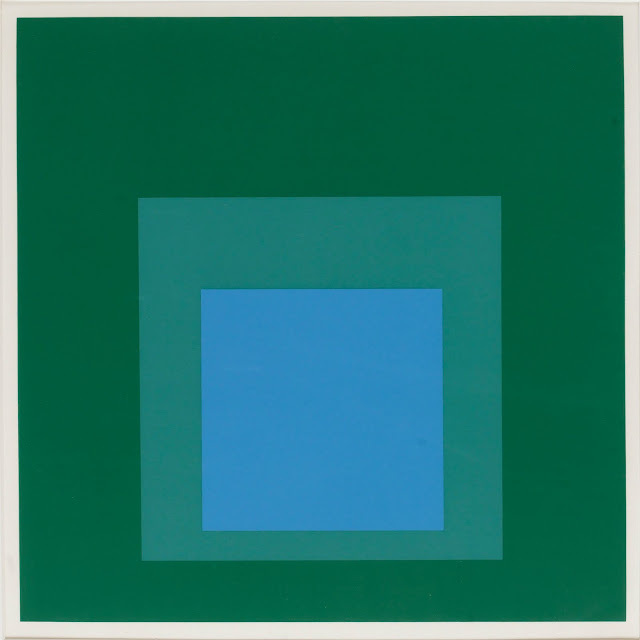 Individual subjects and motifs were often repeatedly varied, an important continuum in Albers’ works. After the Bauhaus was closed down by the National Socialists in 1933, he relocated to the USA and took up a post at Black Mountain College in Asheville, North Carolina. His professional teaching activities ended with his retirement as director of the art school at the Institute of Fine Arts at Yale University in 1958. 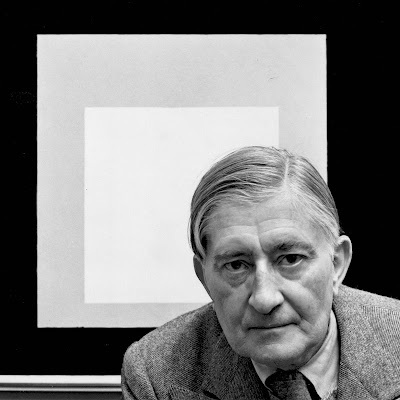 Josef Albers was the recipient of fourteen honorary doctorates and in 1968 was awarded the Grand Cross of Merit of the order Pour le Mérite. He died in 1976 in Orange, Connecticut.